Look cool and be cool while blending into your environment with this awesome FaceBuff! 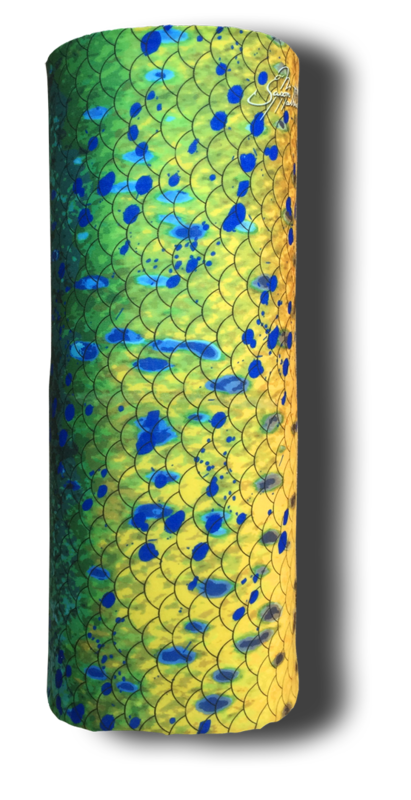 The Mahi skin Face Mask designed by Jason Mathias himself displays an incredible likeness to the lit up colors of a Mahi on the hunt! No more sunburns or sun damage. No more messy SunGard, and no more hiding in the shade either. Our UV protective headwear offers full sun protection. Have fun in the sun worry free while blocking 95% of harmful UV rays. Our Facemask can be worn more than 12 different ways, from a headband to a cap to a balaclava, for a personalized style and perfect fit. Our Facemasks incorporate the latest and greatest in technical fabric innovations while remaining true to our supreme quality and craftsmanship. It’s the reason outdoor enthusiasts trust our products.